For full details, please see the document below. For more details, please see the document below. 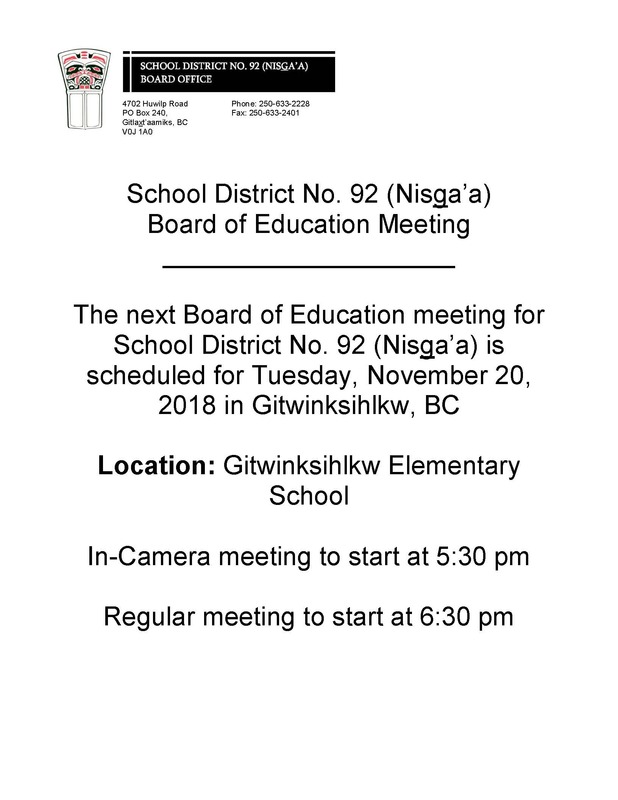 You are invited to an open community meeting to share your thoughts and opinions on School District 92: Nisg̱a’a. An independent research team has been hired by the Nisg̱a’a Lisims Government to review the Nisg̱a’a School District.